case-hardened, tempered, copper, nickel and chrome-plated steel. Ø 8.5 mm case-hardened, tempered, copper and nickel-plated steel rotating resistant to attack; grip with pull-resistant programmed head breakage. 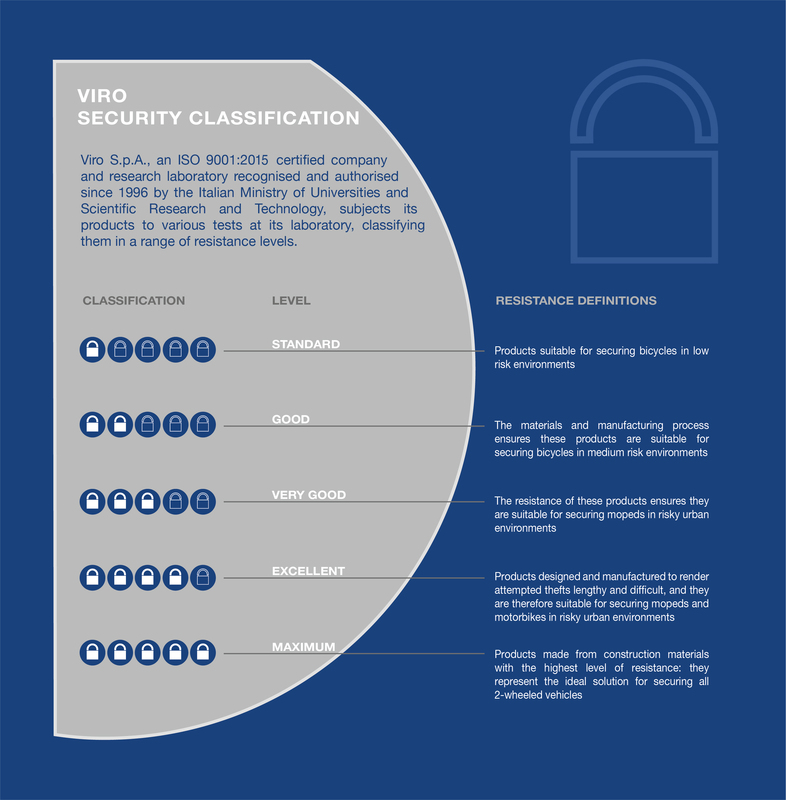 supplied with 2 Viro Top Security profile nickel-plated brass keys. 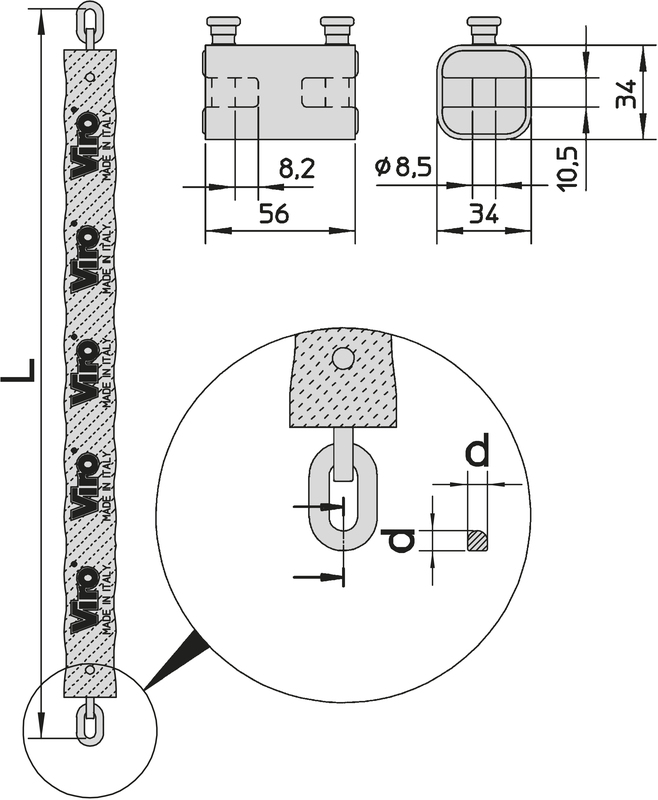 inox stainless steel locking ring springs. semi-squared (to counter shears that generally have blades for cutting rounded profiles) case-hardened, tempered, drawn and galvanized special steel (manganese). 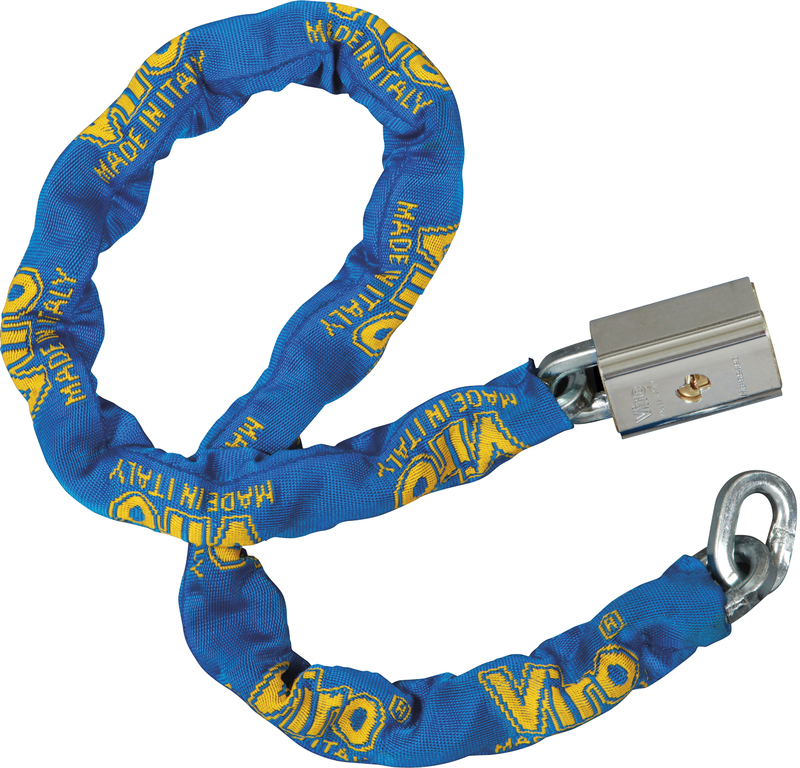 The chain has a 8 mm wire diameter and is protected by a blue fabric scratch-proof cover that minimizes its bulk.